London Party Boats Ltd. have years of experience, we are committed to ensuring you have a memorable day. 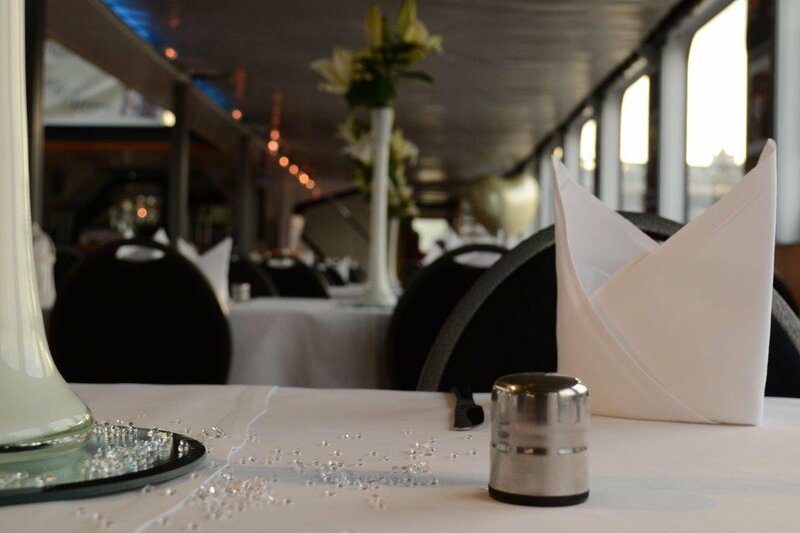 We can help organise your special occasion on one of our luxury vessels, with a variety of entertainment, from jazz bands, magicians and casinos, to discos and themed events. Our vessels can accommodate from 30 to 250 passengers. We can arrange for you, and your guests, to board our vessels from most central London piers, and many outside the London area. We have an experienced sales team on hand to arrange all your requirements; flowers, decorations, catering and entertainment! We can also arrange for a Champagne reception for you and your guests on arrival. London Party Boats Ltd. can take all the hassle out of booking your reception venue, leaving you with more time to enjoy the big day! You can book or enquire about your Wedding Reception by calling us on the number below, or filling out our online form. Or, you can see the hire rates of our vessels by view our Hire Rates page. I appreciate so much your attention to detail, your constant follow-up and follow-through during the planning of my parent’s 50th wedding anniversary party. I thought I was organized! You didn’t miss a trick and that took all the anxiety out of the preparation for me. Just knowing I could yell "Help" put my mind at ease. A million thanks for a truly wonderful experience. Thank You London Party Boats Ltd.